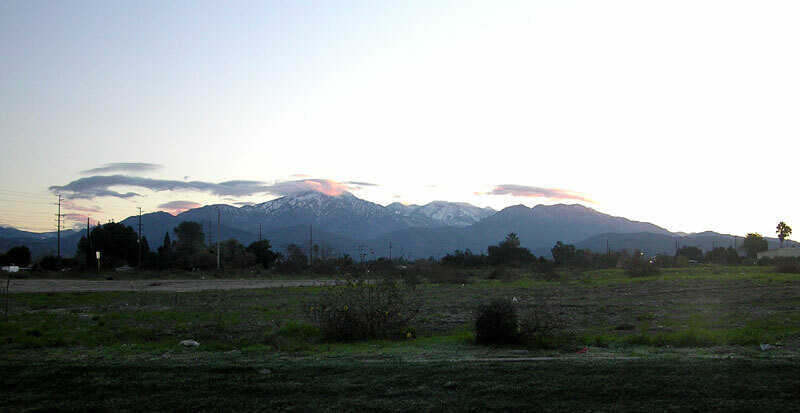 It's New Year's Day 2011 and the sun is rising over Redlands. 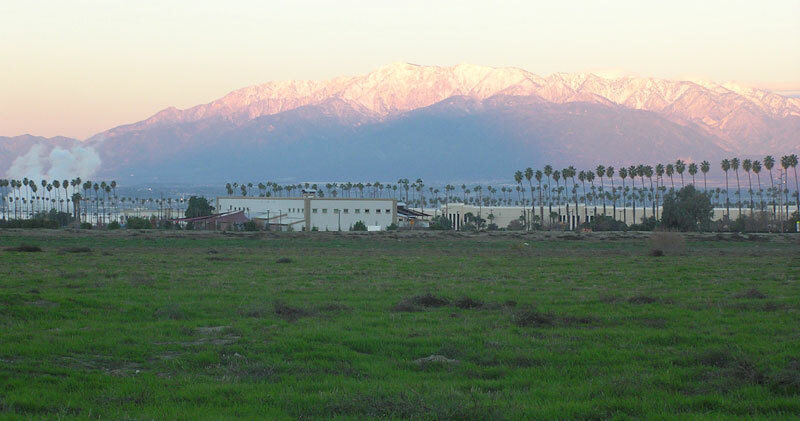 This view is of the San Gorgonio Mountain that rises to the northeast, it is part of the San Bernardino Mountain Range and National Forest. The mountain communities of Lake Arrowhead, Big Bear and Crestline are located up here. 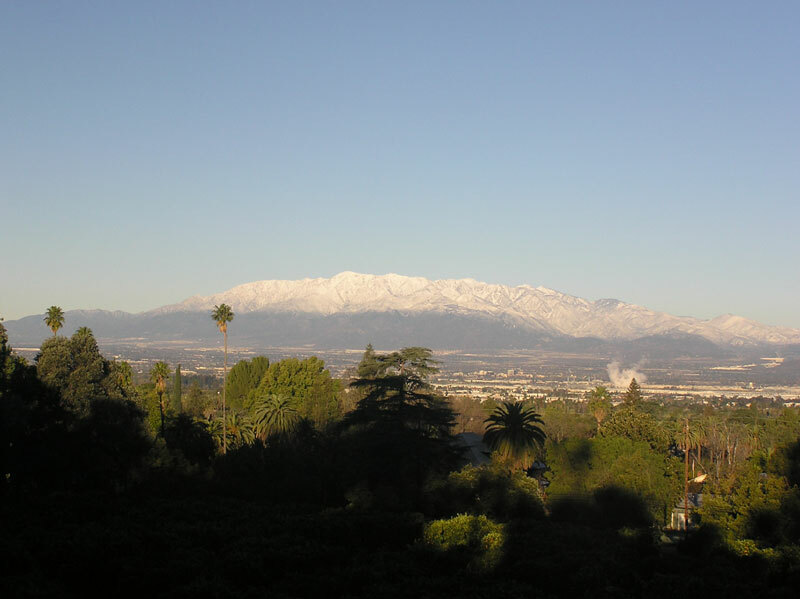 This view is of Mount Baldy, which is part of the San Gabriel Mountain Range and the Angeles National Forest. We like to view the snow from this distance, which is about 10 miles from the snow shovel that I don't own. I had taken this picture yesterday in Highland, CA, which recently experienced the devastating mudslides. 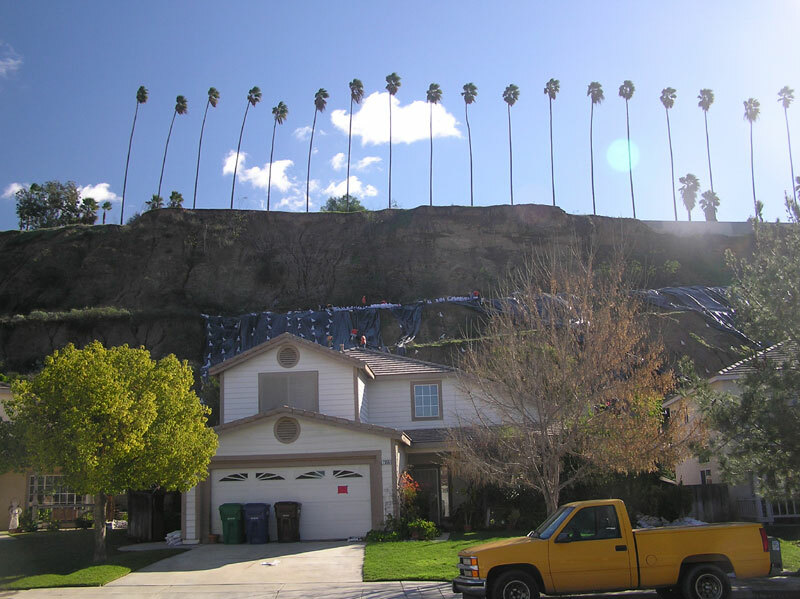 These homes are located on Autumn Chase Drive and are still under evacuation orders because of the unstable hillside towering above their back yards. The workers shown are minimum security prisoners working under the supervision of CalFire employees. They're spreading plastic sheets to prevent any further saturation of the soil from rain water.